Glass is the third most popular collectible in the world, and Crackle Glass is one of the most beautiful and interesting. Crackle Glass is also known by other names, such as Craquelle Glass, Ice Glass and Overshot Glass. Moser enamel and crackle glass vase 1900-1920. Sold for £60 at Stroud Auctions, Jan 2014. How is crackle glass made? It was the Venetian glass makers of the 16th Century who invented this process. Even though there are many different processes, basically, the glass is immersed into cold water while it is molten, thereby cracking the glass. It was then reheated to seal the cracks, and either molded or hand blown into the desired shape. 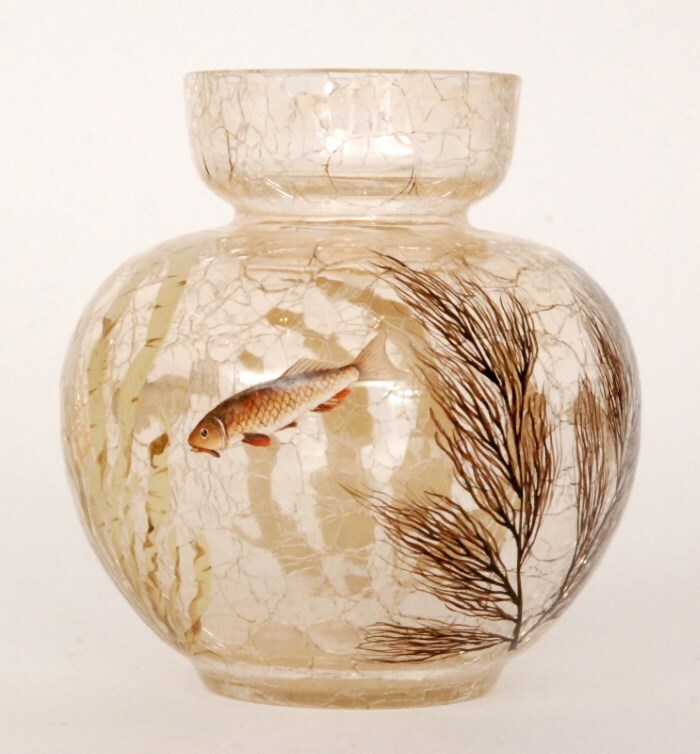 A late 19th Century Moser crackle glass vase of spherical form decorated with fish swimming amongst reeds. Sold for £95 at Fieldings, April 2016. Glass makers from the 19th Century and even today are still using the same methods. Crackle Glass was reborn in the mid 1850’s as glass makers often used this process to cover up defects in their work. If there were cordings or striations in the glass (defects), they would crackle it. 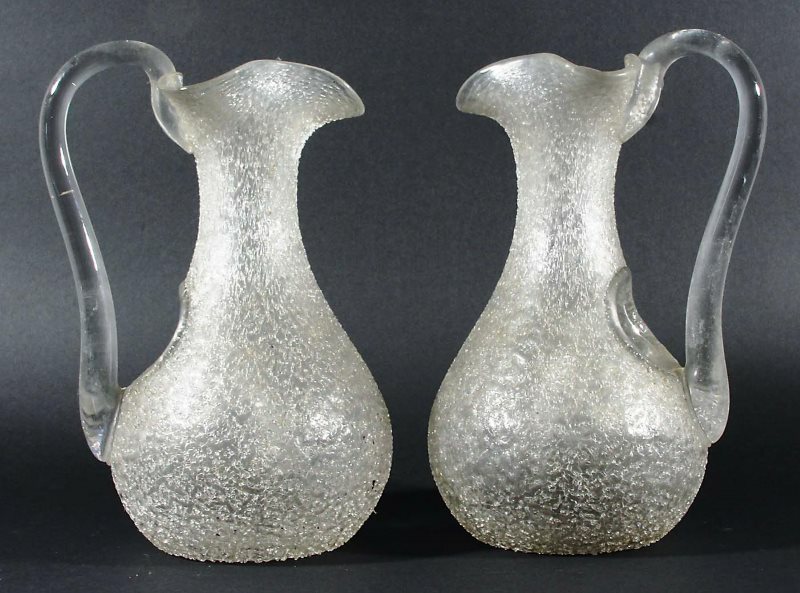 A pair of 19th century Crackle Glass Lemonade Jugs. Sold for £220 at Lawrences, Jan 2018. Crackle Glass comes in a tremendous variety of shapes, styles and colors. It was made by the common glass makers and the best glass makers, such as Galle, Steuben, Moser, Loetz, Stevens & Williams, Webb, etc. 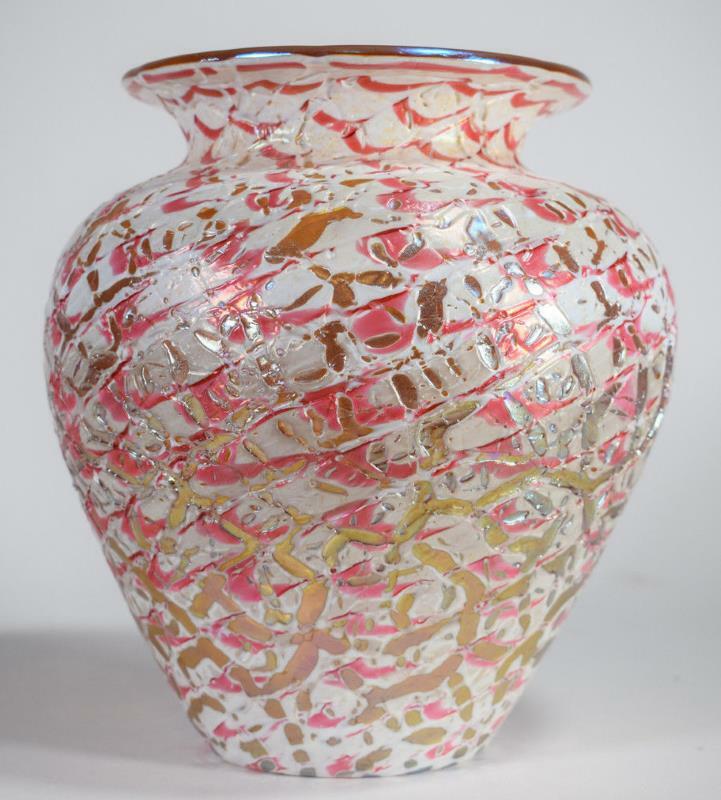 A Durand Moorish Crackle Art Glass Vase. Sold for $550 on ebay, Sept 2018. 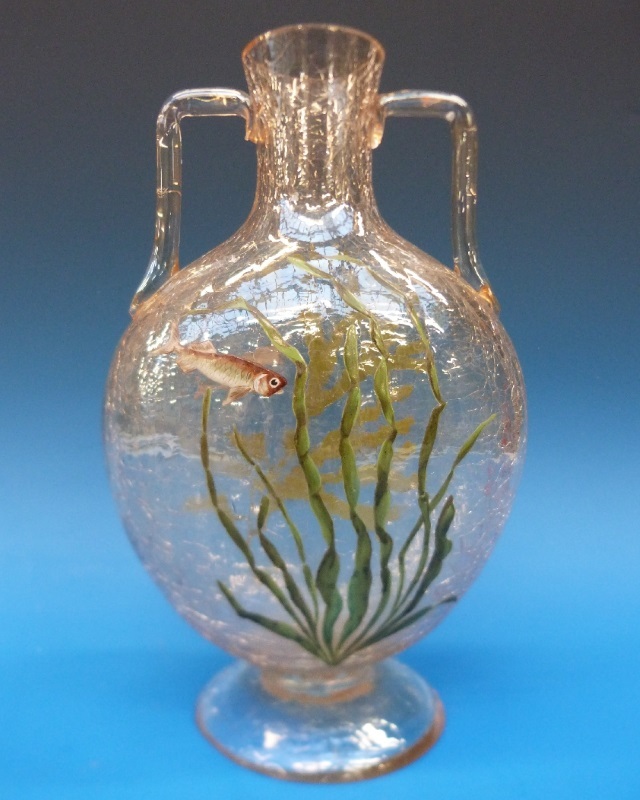 Collectors, who start collecting crackle glass, often start by purchasing the miniatures. These items are usually 3″ to 5″ tall. They will fit on any window shelf, and when the sun hits them, they sparkle beautifully. The best thing about collecting crackle glass, is that it’s one glass that has not been widely reproduced. There are only a few companies making it today, and there are some imports from China, Taiwan, and other countries, but the experienced collector can tell these apart from the old pieces.